Nebraska is one of the most prestigious universities in the nation, due to its excellence in sports. From All-Americans to Academic All-Americans, to professional athletes, we produce it all here. A lot of the success that Huskers experience is in part due to all of the resources the athletes are provided while exhausting their four years of eligibility. However, not only do these resources help while those athletes are at the university, they also help in life after college. Let’s take a look into how Nebraska sets itself apart from everyone else. The training table is where all Nebraska athletes go for meals. When I played, they only served lunch and dinner. Now they serve breakfast, lunch and dinner. There are healthier choices provided like fresh kale, quinoa pasta and coconut water just to name a few of the many choices. There are also charts throughout the training table which help educate athletes so they can fuel themselves to perform at the highest level possible. To add to the training table, there is also a place called The Landing, which is a top-of-the-line snack bar that the athletes can grab something from after weights and conditioning or on their way to class. Speaking of nutrition, each team is provided with a nutritionist. Volleyball’s nutritionist is currently Angie Asche. She married former Nebraska baseball player Cody Asche, and started her own nutrition business. She meets with players individually each week, takes them grocery shopping and is at every game fueling players with snacks and electrolyte drinks. Angie will also attend practices and even travel to some matches. She also checks up on what protein powders, vitamins and food choices are being served at the training table. If anything needs adjusting, she is the one to make the change happen. Athletes don’t just focus on the physical side of the game, but also the mental side. Dr. Brett Haskell is the full-time psychologist who is on site each and every day (also at practices and matches) to help guide the Huskers to be mentally sound. She works on daily meditation and meets with players weekly. She is also watching how Coach John Cook and other coaches interact with the players and even how the players interact with each other. In other words, she is on speed dial for any crisis situations. Even when I played, we had a psychologist on staff, Dr. Larry Widman. He has now gone on to start his own business, Performance Mountain, but without him, I wouldn’t be the person I am today or the player I was in college. Although there is a lot of focus on mind and body, being a student always comes before being an athlete. Nebraska’s academic support is second to none. Personal tutors are available 24/7. The Student Life Center was built to be a sanctuary in which for athletes to study. 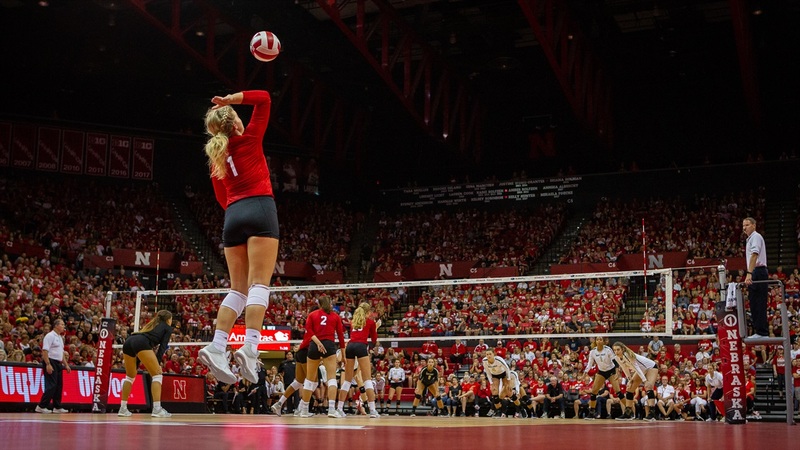 Dennis Leblanc, Nebraska’s executive associate athletic director for academics, is one of the best academic advisor around and one of the first people mentioned every year at Nebraska volleyball’s year-end banquet. Overall, Nebraska has state of the art facilities and a second-to-none staff. I have visited other universities, I even played at another university, and there is truly no comparison when it comes to Husker athletics. As an athlete you are given all of the tools necessary to have success not only on the court, but also off the court. From academics to athletics, there is no place like Nebraska. Want more of the Lo-Down? Check out the archives.